Earlier we posted that the first multi-user virtual reality arena was opened in Las Vegas, in September 2017. 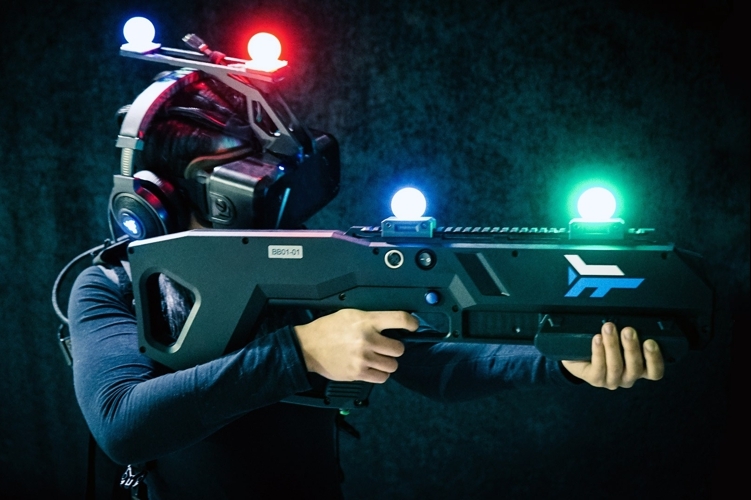 It was set up by Zero Latency VR company, in MGM Grand Hotel & Casino complex. Arena has the area of almost 600 sq.m. The platform uses Razer OSVR HDK 2 VR headsets and Alienware computers. Wireless controllers that look like plastic guns are also used for games. One ticket will cost $60. There are twenty arenas on the Zero Latency account, and their plan is to double this number by the end of 2017. Intentions of Zero Latency’s management also include developing the cybersport segment of their business and providing a comfortable setting for game streaming.